With the victory of the Iranian moderates in the municipal elections, many are entertaining the prospect of a reversal of the recent anti-women policies in the workplace. 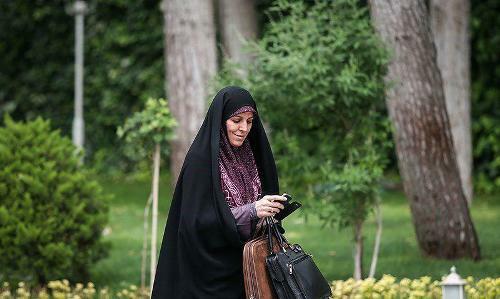 President Rohani’s deputy in Citizen’s Rights Affairs, Shahindokht Molaverdi was quoted demanding a “revisiting of women’s rights” in the context of urban development. Mashhad, a city which has recently been in the headlines for repeated concert cancellations and other ultra conservative reactions, voted widely for moderates in the recent municipal elections. A similar trend has been marked in almost all of the country’s major cities with reformists taking the majority of Council seats. While Iranians have voted the moderates into power in the presidential and parliamentary elections in recent years, the City Councils had remained mostly in the hands of conservatives for the past fourteen years. The moderates consistently ran on the platform of improving government action on women’s and citizen’s rights but found their promises hard to deliver as their victory triggered extreme reactions from ultra conservative factions of the Islamic Republic such as widespread concert cancellations across the country initiated by local clergy, more acute policing of women’s attire in public and establishment of gender segregation policies in offices by hardline mayors. President Rohani has been a vocal critic of former Tehran Mayor’s gender segregation policies in the workplace and with the change in the make of municipal governments across the country, he will now be taken to task in delivering his promises. He is already facing severe criticism for not including any women in his new cabinet but he has issued a nationwide directive to reserve 30 percent of all management positions in government administration for women.